I wish to express thanks and appreciation to you for staying with our ministry. Thank you for the time spent reading the articles and writings, spending time on social media outlets, liking and following my thoughts and paying attention to what I have to contribute to us all. I am what I am because of Jesus Christ, my Lord God. I wish great things to happen for you. May you soar highest in your endeavors. I wish you long life, good health, peace and contentment. Oh, may you experience much joy and lasting laughter! Do not spend today stewing in all the “What ifs" and drowning in the many “Wish I had done so or so...”. Shut off the Regrets Valve. Sooner than you could count time the newest old year, 2015, would be past. Yes my dear friend, it came to pass that at the end of the year Two Thousand Fifteen... We Made It! There are many types of Media expressions from which you could choose. I am grateful that you’ve chosen Do It For Christ Ministries, and HortenseInspiration, as part of your spiritual faith-guide and motivation for life journeys. I wake up every day with one purpose: That I may fulfill The Lord’s calling on my life to proclaim His word. And speak to the hurting people. We are all “hurting” persons, one way or another. Even in our joys pain is present, because of the gift of human sinful nature. The only reason I want to be alive is so that someone may feel closer to Jesus because they heard from me. You make my work and ministry a joyful blessing. You make the challenges fade away. You make me continue to smile and approach life dancing. I bless Jesus Christ for you. Every day I pray for you collectively, and individually when I know of the need to. You are a pearl of a gem. Together we have almost reached the end of Two Thousand and Fifteen. Together we go forward into a new year. Together we cross life landmines and bounce into treated territory. Treated by the Blood of The Lamb, Jesus Christ. Lastly, I encourage you to perform the Do It For Christ “Landmine Crossing Exercise” (posted on our Social Media outlets). Try to do this tonight before year’s end. You may then go on and enjoy your night. God’s eyes are watching you and how you enter into 2016 AD. Glad tidings await you in the Happy New Year. I love you my friend, with a sisterly love. Stay safe. Blessings galore! Countdown to 2016 begins today! I am writing this note at 7:00 A.M. Eastern time in the United States. In seventeen short hours, the year 2015 will roll over into oblivion. I have come to tell you that God is able. The Lord God has no limitations. Jesus Christ has no restrictions on his abilities. Almighty God is able to deliver without constraints. We are standing in the shadow of a new time. We are on the verge of a “Daybreak” that will reveal what History would call “2016”: The Year Two Thousand and Sixteen AD. I dare you to now begin a 72-Hour Countdown into what you will make your greatest year, ever. With every breath in me I speak “Positive” into your space, that Friday morning, January 1, 2016 will unleash in you a new determination to fashion yourself into a bigger, better, you. Start a cleansing of your system, today. Begin ridding your mind, body, and spirit, of every negative thought. Light the match and start a fire to burn away bitterness, anger, and regret. You know yourself well. Better than anyone else does. Use the 72-Hour Countdown for a deep cleaning of you. Employ every cleaning method, tool, and technique that you know of—soap water, bleach, antiseptics, harsh abrasives, power washer, brushes, detergent—use whatever it takes—Pray. Fast. Read the Bible. Meditate. Prostrate before the Lord. Cry out to Jesus. Ask forgiveness for your sins—Cleanse. Clean up. Extract from the root. Shred into pieces. Do what you need to do to you, with you, for you. Cleanse. Clean. Disinfect. Rinse. Clean up You. Do It For Christ. Cleanse. Clean. Disinfect. Rinse. Clean up You. In just about seventy-two hours, you would be standing at another pinnacle of history. Let it meet you with enough scope—enough free space within you—to absorb all the possibilities and opportunities therein. The blessings; innumerable and immeasurable blessings that are coming your way. Ask Jesus to help you clean up that you may receive what 2016 is bringing for you. Be encouraged, motivated, and inspired. Visit www.doitforchrist.org. You Are The Reason Christ Came To Earth. Christ Is The Reason For Christmas. All over America many no longer want to celebrate Christmas for what it is. Most people prefer to simply call it The Holidays. Standard happy greeting for this time of year has shifted from "Merry Christmas" to "Happy Holidays". That's alright. A sort of political correctness has slowly pushed the phrase "Merry Christmas" to almost oblivion. Those of us who insist on greeting this way get funny stares. That’s alright, too. I gave a big smile in return. As long as I am doing the greeting it’s going to be Merry Christmas at my end. Ah (!) But the lights! Merry Christmas to you! Happy Holidays Everyone! Enjoy a wonderful blessed time with your family and loved ones. Almighty God has got you fully covered. "Everybody wants to see God. They want to see someone that looks like them. That is not who I am. I am big. I fill time, space, and void. I am big! Every day they are looking for me in things. You say, ‘He’s that person. He’s in this person. He is the trees. He is the leaves. He is the breeze.’ They say, ‘God is in everything. Everything is God.’ You call others God. Nothing can be me. Nobody is me. I am God. I created all. I am big. I fill time, space, and void. Every day man has their own interpretations of God. I have fitted all of me into what I know your mortal mind can handle. See Jesus. That is the only manifestation I want mortals to see me as. You are mortal, created for a fixed time frame. For that fixed time the way you would know me is if you know Jesus. To reject Jesus is to reject all of God. I am big. I’m big. I’m big. I am infinite God. Infinite I came into the world to save you. Jesus is the manifestation of me that your finite minds can handle. What I am no man can behold. So that you would live with Godliness you must accept Jesus. Jesus is the manifestation of me packaged to fit human limitation. The creature now wants to contain the creator into your limited mind. You are created and given a time frame. I am eternal. You say God is in you. But you reject my Holy Spirit. How is God in you? All of who I am is symbolized in the Dove that is my Holy Spirit. Infinite God, condensed to reside in you. That Dove, my Holy Spirit, represents an explosive. A dynamite force of God contained in smaller amount to live in you. The Holy Spirit is a dynamite of all that I am. That is the gift I sent into the world so that the world would have me in their midst. All my power; I am God. I am big. I fill time, space, and void. I fill it all. Time is eternity. I fill eternity. Stop looking for God in different things. I am tired that you say He’s in the trees. He’s in the leaves. Look! He’s in the breeze. Oh! He’s in all people. God is in all things. NO. I am big. Mortal man with the fixed time frame wants to contain infinite God. Do not contain me. I am God. I am big. I am big. I fill time, space, and void. You say God is in everyone. NO. Know me. To reject Jesus is to reject all that I am. Why are you not afraid of me? I am big. You have no fear of me. The creature wants the creator to look like him and fit their mind. Your mind is too limited. I cannot fit it. I am God. I am big. Mankind, you mock me. You are not scared of me. I am tired of your mockery. Mortal man who I created and put a fixed time frame on you. Now you say God is another mortal. NO. You say God lives in everything. In the trees. In the leaves. In the breeze. The only way I live in you is in the dynamite that is the Holy Spirit. No other way do I live on earth. If you want to know that I live in you, take my Holy Spirit. That is the only way I am on earth. That is the only way I live in mortals. Stop worshiping things. I am not in things. I am God. I am not things. You mortal here for a time reduce me to fit your mindset. I am big. I fill time, space, and void. I am tired hearing that God is in the birds. He’s the air. Look around us everywhere is God. That is how your mortal mind wants to see God. The creature wants the creator to look like and fit their perception of God. You, created with the limited mindset and fixed time span. I have created man. Now man wants to fit me into how your minds see me. The creature wants to contain the creator. The creature wants to limit the creator in your limited time frame. I have told you who I am. Jesus is the manifestation of me that I want mankind to see. Accept Jesus. To reject Jesus is to reject me. I am God. Religions are figments of man’s mind. I regard no religion. I do not care about your religions. Religion is man’s perception of things. What is religion? Religions are man-made doings. All religions are man’s interpretation of belief systems. Those are beliefs you mortals have made up. There are not many ways to me. There is one God. I am God. I am big. I relate to man only in one way. I am God. I fill time, space, and void. There is only one way to me. That way is Jesus Christ. Jesus is the way I want all mankind to know me. The Christmas story is a love story. So that man would know God in a way you can relate to. That you would be able to understand through your limited mindset. Man is mortal created for a fixed timeframe. Man cannot see the creator through your mortal mindset. That mortal man would know God in a way you could relate to, I took on human form. I am big. I am big. I am God. I fill time, space, and void. Jesus is all of me fitted into what I know your mortal mind can grasp. That was the purpose of Jesus coming to earth in human form. A Love Story. The purpose of Jesus coming to earth the way I did is a love story. Jesus is all of me. The Christmas story is a love story. All of me put into what your mortal mind can handle. Remember this. Christmas Story. Love story. It is not my desire that any man should perish. I am the Judge of all the earth. Mankind disobeys me. They go around looking for God. I have told you who I am. Jesus is the manifestation that I want man to know me as. Mankind has reduced me to how they want to see me. I have told you who I am. I am not the trees. I am not the breeze. I am not the air. I am not things. Stop worshipping things. I am God. I am big. I’m big. I fill time, space, and void. How could I be the wind? I am not the wind. I am God. The wind obeys me. The storm stops when I speak. I cannot be in the leaves. I am not the birds. I am not in the air. I fill time, space, and void. I am not everything. I made everything. Nothing can be me. I am big. I fill time, space, and void. I am God. The Christmas story is a story of love; My Love. Go tell the world the Christmas story is a love story. Go tell the world that the Christmas story is a story of my love. This is the Christmas Story." Founder, Do It For Christ Ministries Intl. Good morning my friend. When you woke up this morning the world as you knew it last night had changed. For sure, something different happened somewhere while you slept. Certainly change will happen to each of us. Good or not so good, change is a constant of life. That is why you must PRAY your way through life. When you pray Jesus Christ removes your anxiety about change. When you pray you turn over life’s changes to the only constant there is. Jesus Christ. The fundamental nature of Almighty God never changes. The LORD GOD is a good God. And that good Lord God loves you beyond your ability to comprehend this love. Pray to the Lord God, in the name of Jesus Christ, and joyfully embrace the changes all around you. Blessed Friday! Socialize with us: Facebook.com/doitforchrist. Twitter #HImotivat. Early on in my life I discovered the joys of passing on. I discovered the thrill that comes from sharing, giving, uplifting, picking up others, laying things down softly. It is quite normal to get upset as long as you get pleased quickly. Be angry but be quick to forgive and faster to forget that which you have forgiven. Give others a chance to make mistakes. Just like you. Imperfect as we all are, striving to do this life right. As correctly as one would allow your human self to be fixed by God Almighty. No life is free from cares, but life is beautiful. Life is worth living. Your life is the only life you have on this earth. Life is precious. This Thanksgiving Day, whatever the nature of your life or however you may feel about yourself, I want to ask you to share your life with others. There is something about your life that can bring joy to another person’s life. Thanksgiving signals our preparing to wrap up another year. In so doing lets each review “self.” Take a fresh look at yourself. Do you see? Share your life with others. Happy Thanksgiving! Many are uncomfortable with public acknowledgement of Jesus Christ. Many believers are ashamed to be vocal about their being Christians. Too often Christians are embarrassed to stand for the Lord. Many a believer has embraced an incredibly lenient view of what it means to be a Christian. It is sad the large and increasing number of Christians who stand against Christ. All in the name of preserving comfort. “Behold the Lord’s hand is not shortened, that it cannot save, or his ear dull, that it cannot hear; but your iniquities have made a separation between you and your God, and your sins have hidden his face from you so that he does not hear.” (Isaiah 59:1-2 ESV). Jesus is not interested in your comfort. Jesus is interested in your taking up the cross and following him. Jesus Christ is the comfort. Jesus Christ Savior of the World. There is the Comfort. The Lord God Almighty is his name. Comforter Jesus—RUN to him. Good morning. I pray daybreak in your home this morning was terror free. I pray that you would not take it for granted how last night’s evil did not claim one of those closest to you. I pray you would spend today thinking of the many hurting, bleeding hearts in the nation of Paris and other parts of the world today. I pray that your heart will join in thoughts, and take one moment of silence for each Mother, Father, Son, Daughter, Brother, Sister, Wife, Husband, Niece, Nephew, Aunt, Uncle, Grandmother, Grandfather, Cousin, Friend, who lost their life last night. Pray especially strong against the hatred which has consumed our world. Feel the pain of each grieving heart this morning. That’s the least we can do. Pray, in the name of Jesus Christ, for our one hurting world. I am talking to those of us who feel extremely privileged to be alive this morning. 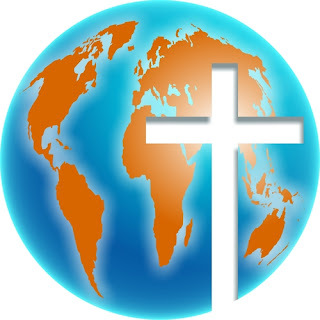 Do It For Christ Ministries Intl. MAKE YOUR PRAYER Points for the Week. Here is an example. Pray that you will seek The Lord's guidance daily, in worship and thanksgiving and praise. Pray to Jesus Christ for forgiveness of your sins. Pray for Your own Self and situations that concern You the person; pray, and pray more for You. Pray for your Children, Spouse, Parents, Loved-Ones, Family and Friends. Pray for the Church. Pray for Clergy people of all faiths and beliefs. Pray that more people of this world will accept Christ as the way to salvation and eternal life. Pray for your Neighborhood, Community, City, State; Town, Village, Nation, Country, the World. Pray for the President of the country you live in. Pray for Presidents and Heads of all countries--The world is such an interconnected world what happens in one place affect everywhere else. Pray for your Leaders, Legislators and Parliaments. Pray for Corporate...Heads of Public and Private Entities and Industries. It is important to pray for those in leadership positions. The authoritative decisions they make ultimately end up being personal to you; resident in your kitchen, living room, bathroom, bedroom, garage, driveway, your children's head...Your whole house and entire household. Pray that Jesus Christ will raise up good leaders to run our world under Almighty God's control. Pray for strength to carry on day to day in these times which change day to day. Add More Prayer points as you go along....PRAY WITHOUT CEASING FOR THIS IS THE WILL OF GOD. If ever there was an urgency for a call to prayer, now is that time. Time for the body of Christ, THE CHURCH, to rise up and begin an ongoing national revival. How like us, The Church, to whine much, but remain careless in prayer and slovenly evangelism. These are the last days! Scriptures tell us what these days will be like. Bible prophecy is being fulfilled minute by minute. Christians, it is good to talk and speak your piece, but it is even better to pray some things away. You have been given the authority to do that. For every one minute expressing outrage at the ridiculous stances occurring daily spend five minutes in prayer, bringing down strongholds and breaking yokes. We are experiencing spiritual warfare. Prayer is the ammunition of choice for these times. Starting with each of you, let us begin neighborhood prayer walks, community prayer rallies, tent meetings and camp meetings revivals, Holy Spirit fire-power prayer services. Let's keep it going round the clock, statewide and nationwide. Pray until this nation is overrun by prayer, in the name of Jesus Christ. Seems the more we express outrage the worse the culture gets. Shift strategy--speak up and pray away simultaneously. Do not take it sitting down; take it praying up. The effectual fervent prayer of the righteous availeth much. If you'd like a starting point, adopt the "Do It For Christ USA Noon Prayer Campaign". Or start your own prayer agenda. Christians, we are followers of Christ. Jesus Christ told us to pray without ceasing! That is, just like you take a breath, pray nonstop. Let us pray. Troubles and trials seem the order of the day. These are the periods of testing for the true believer in Christ, who desires to be outfitted for the Kingdom living. Tribulations—the cost of discipleship. Tribulations—without which one cannot be fit for the Glory which is to come. How does one get through these “hard” times which are certain to increase? The way to live victoriously through tribulations is by the Word of God and Prayer. Constantly dwell in the presence of our Lord Jesus. Feed on the Scriptures. Prayer. And more prayers. These times of tribulations and trials will not cease; instead will only multiply. When you pray to the Heavenly Father in the name of his only begotten son, Jesus Christ, God Almighty will come down to you in the form of the Holy Spirit, the comforter. Jesus said, “I will not leave you comfortless: I will come to you” (John 14:18 KJV). “Then you will be handed over to be persecuted, and put to death, and you will be hated by all nations because of me. At that time many will turn away from the faith and will betray and hate each other, and many false prophets will appear and deceive many people. Because of the increase of wickedness the love of most will grow cold, but he who stands firm to the end will be saved. And this gospel of the kingdom will be preached in the whole world as a testimony to all nations and then the end will come.” (Matthew: 24:9 NIV). (1 Thessalonians 3:1-8 Holy Bible NLT). Live with faith, my friend. Faith, that substance of things hoped for. Faith, that evidence of things not seen. Endure for a season. With faith. There are never the right words to tell your grieving heart. The best thoughts I have come from these words spoken by Jesus Christ, “I will not leave you comfortless: I will come to you” (John 14:8). May the soul of your brave child, your departed loved one, rest in eternal peace. May your own heart experience God’s peace. WOW. The Mass at Madison Square Garden was solemnly blessed. Pope Francis has brought the Gospel of Jesus Christ to life for all to see. The Holy Father personifies what it means to have the love of Christ. Christians, when we exemplify Jesus Christ in all and whatever we do, The Lord will do the rest. Scripture say when Jesus is lifted up he will draw all men unto himself. The Pope Francis has not only spoken soothing words into the hearts of the multitude, he has shared his heart of joy and soothed the multitude. As a Christian, non-Catholic, I am blessed by this visit. I pray you, too, are blessed. May we continue to pray for Pope Francis as he represents Jesus Christ in this our diverse world. Too many people are leaving your destiny totally in the hands of so-called great mighty men/women of God—powerful televangelists, stadium filling ministers, new age spiritual gurus, miracle working preachers, signs and wonders pastors, you name it—proffering teachings that are contrary to Scripture. Many of such “mighty” people substitute God’s Truth with their personal beliefs and opinions. I learned in 10th grade Literature class the statement, “Pride is a wonderful terrible thing.” The mighty Word of God is frequently being replaced with analysis from mighty low human perspectives. The reason why life does not work without Jesus Christ is because the Manufacturer knows the product best. Do not allow another human being to exclusively chart your life’s course. Give that privilege to Jesus. We live in a world which seems to be filled with expertise. Almost everyone is an expert on something, and anyone can suddenly be an expert on everything. Thoughts and deeds are often so fickle. Prevailing culture is, “do what idols and role models say to do” and “think what pundits tell you to think” and “if you hear it all day all night it must be truth.” Standards shrink and unrealistic expectations surge. Most everything goes to the highest bidder. Take heed the voices you pay attention to. In the matter of soul preservation every person answers for oneself. Just like you were born into the world alone, you will draw your last “alone” breath alone. The body will immediately begin a decaying process as your soul separates from it. The soul will travel alone to meet your Creator. At that point none of these earthly handlers will mean anything, nor can they do anything for you. You, alone, stand to be received or be rejected. Your reward or punishment is yours alone. Your soul is solely you. (Revelations 21:8 Holy Bible, NIV). The Lord God has told mankind exactly who the inhabitants of Hell will be. Take heed that you are not misled by preachers and teachers of false doctrines. Believe in the death and resurrection of Jesus Christ, that you may escape hell fire and preserve your soul for eternity. The Blood was shed on The Cross for you. The Bible is the divine, infallible, authoritative, and inerrant word of Almighty God. Spend much time reading Scriptures. Pray to the Lord and ask Jesus to open your spiritual eyes. Pray and ask Jesus to remove carnality and unclutter your mind. Pray that the Lord will expand you spiritually. Allow the Holy Spirit to minister and teach you the meanings of God’s messages. It is serious matter that you know the guidepost Jesus Christ has outlined. Your soul is priceless. Your life is meaningful to the Lord. You only get one chance at redemption. That is Jesus Christ. May you experience Christ in new of droplets of love today. Happy Weekend! Every day we are faced with many decisions. What should one do? How to go about accomplishing the many things we need to do. Fashion your thoughts. Contemplate your words. Think about your actions. Ponder your reactions. Evaluate your decisions. How to be at peace with the choices you make. Decision. Decision. Decision. And more decisions. Every single day life happens. Life comes at you. We each have to arise, move forward, and meet life as it comes. One must stand up. One must live a meaningful, functional existence. It is good to decide early where you stand in these matters, of life. Decide what you will stand for. Determine who will stand with you. At the Do It For Christ Ministries, we have a pledge. We pledge allegiance to Jesus. We preach total surrender to the Lord, Jesus Christ. "As of today, I vow to make Jesus Christ first, middle, and last. Jesus will be the first person I talk to in all my situations. Christ will be the middle-man in all my negotiations. Jesus Christ will be the last point in all my conclusions. This is my vow. My solemn vow. So help me God." I encourage you to commit to saying the Pledge daily. Commit to putting into practice the statements therein. The Do It For Christ Christian Pledge is lodged on the ministry’s website, and on all ministry's outlets, as well as in our various print media publications. Many blessings to you. My Friend, live your life for Jesus. Do it for Christ. What is your religious belief? Who is your Religious Leader? Is the founder of your spiritual conviction—the head of your Faith—living today? Can you find peace and joy after spending time in the presence of your religious leader? Does the god you worship have ears that hear your prayer? Is your God alive in the present?! Is the god you bow down to bigger than you? I pray you do not worship a god whose components can be found in physical matter like wood, stone, rivers, streams, trees, cloth, animals, dead humans, or other temporal matter. Is your God alive? Jesus Christ is alive today. Jesus Christ the living human being crucified. Dead man hanging on the cross. Dead man buried in a grave. The resurrection from the grave. Jesus Christ arose from the dead. The empty tomb. Risen God walking around, gloriously. Jesus Christ in a glorified body appearing to his disciples and hundreds of others. (Look up the Word, in 1st Corinthians 15). Read Scripture! My Friend, the Bible has power to transform your thoughts, words, and deeds. Do not be misled by popularity, historical data, popular false-truths, sheer numbers and volumes, free thinking, archeological findings, material persuasion, coercion, traditions, or any other reasons. Your eternal existence is at stake. If you should die today without having accepted Jesus Christ as your Lord and Savior, your soul is lost forever. There is no conversion after death. In the beginning GOD created the heavens and the earth. Before there was a beginning there was God. In the beginning God Almighty of the beginning took one week (7 days) to speak into being all that is earth and heaven—Creation. In the beginning GOD made man on the 6th day of creation. I am talking power beyond human comprehension. Mankind will never grasp nor understand the consuming powerful mighty composition of God the Beginning. The concept of the beginning God is too grandiose for human knowledge. That God [of the beginning] says the only way to him is through Jesus Christ, his only begotten son. God Begotten, that you and I may kind of glimpse the kind of power, of God the beginning. I believe in the Truth of Christ. Hear me here for a minute: I hold no scholarly credentials in theology. I am not ordained by any denomination save Almighty God. I have never attended seminary. Called miraculously and anointed by the Lord Jesus Christ on August 1, 1999, face to face in the presence of Divinity I stood. Hallelujah. The Divine held me up, placed his hand on my forehead covering my eyes and administered holy anointing and a command. On that day I was enrolled under Christ’s tutelage, in the libraries of eternity, where God resides. The Holy Spirit teaches me theology, for ministry. Theology that is one message and for one purpose only: The Resurrected Christ alone has the power to forgive sin and grant us eternal life. My Friend, it has been sixteen years since that day, and I yet, still, proclaim daily the same message—Believe and follow Jesus Christ for the Salvation of your soul. JESUS CHRIST the only way to God. JESUS CHRIST the only one who has power to forgive sin. JESUS CHRIST the way to eternal life. JESUS CHRIST the first and the last. JESUS CHRIST the beginning and the end. JESUS CHRIST without him everlasting life ends for you. When, by death, you leave this earthly existence without Christ you have condemned yourself to hell. Hell, separated forever from The Lord. Without Christ you have dammed your soul to spend eternity with Satan; do you really want that for your eternity? Without Christ you have destined yourself to everlasting destruction—Eternal Separation—from your creator, God the beginning. If you worship and serve a dead God you are playing with fire. Hell fire where the flames never go out. Why take the chance? A place of eternal, perpetual, torment. Is the gamble really worth the consequences? Does it make sense that any forever dead object or concept or person would grant you forever life! Why would such dead object or concept or person remain dead if they had the power to grant your life forever! Again, I ask you, “Is your god—the God you worship and serve—is that your god alive?” If “No” or “Not sure” is your answer, kindly allow me to request of you that you consider knowing Jesus Christ. Start by saying a short prayer, asking Jesus to come into your heart and forgive your sins. Get a Bible and start reading, preferably, beginning with the Gospel of John. Christianity is not a religion; rather it is a relationship with Jesus Christ. Your being a Christian is your surrendering to Christ. Christianity is placing faith and trust in Jesus Christ to preserve you for eternity. Is the founder of your spiritual belief—the head of your Faith—living today? Yes! “So then after the Lord had spoken unto them, he was received up into heaven, and sat on the right hand of God.” (Mark 16:19). Can you find peace and joy after spending time in the presence of your spiritual head/supreme being? Yes! “Thou wilt shew me the path of life: in thy presence is fullness of joy; at thy right hand there are pleasures for evermore.” (Psalm 16:11). Does the god you worship have ears that hear your prayer? Yes! “Call unto me, and I will answer thee, and shew thee great and mighty things, which thou knowest not.” (Jeremiah 33:3). Is your God alive in the present!? Yes! “And God said unto Moses, I AM THAT I AM…” (Exodus 3:14). Is the god you bow down to bigger than you? Yes! “Nothing in all creation is hidden from God’s sight. Everything is uncovered and laid bare before the eyes of him to whom we must give account.” (Hebrews 4:13). Jesus was more than just a great teacher. Jesus proved that He is God’s only begotten, cherished Son, who came back to life from the grave. The truth of Jesus Resurrection separates him from every other religious leader in human history. The fact that Jesus Christ is alive confirms and establishes his power to grant you eternal and everlasting life. Christ is Risen! Jesus is Alive! Life gives life. I pray that you do not leave earth until you can answer that your God whom you worship is alive. “For whosoever shall call upon the name of the Lord shall be saved.” (Romans 10:13). Happy Friday Ooooo My People! The Holy Bible is the divine, authoritative and infallible Word of Almighty God. Hear the Lord God Almighty. Certainly a Weak End Not! FRIDAY IS HERE. Again. Enjoy a wonderful beginning to what I hope you’ll make a wonderful weekend. Aah, but do behave now. Jesus eyes are watching! Often, weekend is when many stray off—you Meet up with people you’ve got no business seeing with… you Forget the Ten Commandments… you Try stuff you shouldn’t touch… you Indulge in wicked indulgences… you Open secret sins—All in the name of enjoying yourself. The truth is you are staining your soul. You are contaminating your spirit. Beware a weak end. Behave yourself. Yes, I’m gone from preaching to meddling! Why? I love you. That’s why. My Friend, escape those snares. Watch, fight, and pray, Scripture tells us. Do not end weak. Invoke Jesus name. Christ will immediately come to your rescue. Enjoy today. Make your weekend memorable. Make every minute a proud to be called child of God moment. Keep that smile on your face. There's a tendency that experience is often the best teacher. One can be certain and emphatic about something oftentimes when you have lived it. I attest my God is ever present. If you have made Jesus Christ your Lord, know that your God is ever present. In the process of living, and doing the work that Jesus Christ has blessed me with a divine calling to do, I have found God to be faithful. Jehovah God is the greatest. The Lord God is Sovereign God. God Almighty is the Great I AM. Whatever you want Lord God to be in your life, that I AM is to you. The way to God Almighty is through Jesus Christ. Indeed, I have found the Lord to be Jehovah. I have found Jesus Christ to be faithful. Try him for yourself. Jehovah is the present. Almighty God is always present in your efforts and endeavors. Give Jesus a chance to be in your business, every day. Over and over God stands with you mercifully every second, minute, and hour of each day. The Lord can never forsake you. The Lord will never forsake you. When you rely 100% on Jesus Christ, the Lord will never be far from you. Yes, Jesus will never leave you. Jesus Christ is present at your side through every situation and in every condition. In your "whatever" circumstances the Lord stands by your side. Jesus will walk with you every step of the way, if you let him. You must trust that God is right there with you at all times. Accept and believe that truth. The Lord is by your side always. God is Jehovah Shammah. Omniscient, Omnipotent, God that he is. I discovered that an astounding majority of Congress identifies as being Christian. Yes, you heard me right. I just said, an astounding, ninety-two percent (92%), majority of the membership of Congress identify as followers of Jesus Christ. We, Americans, elected the majority Christian Congress. America, it is you who elect law makers of the land, your Law Makers. It is you, America, who repeatedly elects a majority Christian membership to your law governing body. How could it be then, that the same you, America, collectively rejects Jesus Christ? How is that you, America, do not want Jesus Christ in your business? How then could you, America, object Christian doctrines displayed anywhere in your public places? How then, that you, America, do not want prayers in the name of Jesus said openly? How then you, America, relegate Christianity to the ugly bottom of your moral fabric? You, America, elected Christians as representatives and senators to fashion the way our country is governed. You, America, keep Christians in the majority law making body of your land. How then could you, America, fight to distance yourself as a nation built on Christian principles? Albeit, Christian lawmakers, who stand idly by and watch the National Cathedral be mocked. Has the favor you meted out been returned, National Cathedral? Christian lawmakers, did you bow your head in agreement with prayer the other day? In whose name do Christians pray! You cannot even keep sacred a designated space dedicated to Almighty God in Jesus name. You, America, elect a Christian majority to make your laws. Who then is responsible! There are three equal branches of government. The legislative branch, The Congress, makes the laws. The executive branch, The Presidency, enforces the law. The judiciary branch, The Supreme Court, interprets the law. So here is it: CONGRESS makes the laws of America. A sitting President enforces the same laws made by the legislative branch. The Supreme Court interprets the enforced law of the land. Laws made by the legislative branch. Said legislative branch, CONGRESS, comprises legislators ELECTED to office by the American people, collectively called THE PUBLIC. Who then is responsible? America, has there been another nation to send forth more missionaries proclaiming The Gospel to the ends of the world? The judgment of God Almighty is at hand. The Lord Christ has begun to vindicate his Father's name. The house of God is about to be cleaned up; Jesus is already inside the temple. You are the temple of the Lord. Mankind makes up the house. Let's glean a few Truths from the Scriptures. DECLARE a holy fast; call a sacred assembly. Summon the elders and all who live in the land to the house of the LORD your God, and cry out to the Lord." (Joel 1:14 NIV). "Gird yourselves, and lament, ye priests: howl, ye ministers of the altar: come, lie all night in sackcloth, ye ministers of my God; for the meat offering and the drink offering is withholding from the house of your God. Sanctify ye a fast, call a solemn assembly, gather the elders and all the inhabitants of the land into the house of the Lord your God, and cry unto the Lord, Alas for the day! For the day of the Lord is as hand, and as a destruction from the Almighty shall it come." (Joel 1:13-15 KJV). "But you must remember, beloved, the predictions which were made by the apostles (the special messengers) of our Lord Jesus Christ (the Messiah, the Anointed One). They told you beforehand, In the last days (in the end time) there will be scoffers [who seek to gratify their own unholy desires], following after their own ungodly passions. It is these who are [agitators] setting up distinctions and causing divisions--merely sensual [creatures, carnal, worldly-minded people], devoid of the [Holy] Spirit and destitute of any higher spiritual life." (Jude 1:17-19 Amplified Bible). "Rend your hearts and not your garments and return to the Lord, your God, for he is gracious and merciful, slow to anger,many abounding in loving-kindness; and He revokes His sentence of evil [when His conditions are met]. (Joel 2:13 Amplified Bible). "And Jesus knew their thoughts, and said unto them, 'Every kingdom divided against itself is brought to desolation; and every city or house divided against itself shall not stand: and if Satan cast out Satan, he is divided against himself; how shall then his kingdom stand? And if I by Beelzebub cast out devils, by whom do your children cast them out? therefore they shall be your judges. But if I cast out devils by the Spirit of God, then the kingdom of God is come unto you." (Matthew 12:25-28 KJV). Make time for God and watch your life be transformed right before your very eyes! Blessings abundant to you. Share the circle. Get everyone praying together today. The enemy is defeated when friends join in agreement prayer! Allow Almighty God in all of your affairs. Your life's business need the Lord's help. Blessings abundant to you. Hello, Dear Friend. I am Hortense. Servant of the Living God. Anointed by Jesus Christ. On August 1, 1999, I answered my name call, found myself standing in the face of God the Son, and received an Anointing from the Lord. Jesus give me a command to "Proclaim His Word and Speak to the Hurting People; specifically people on the African continent". The encounter led to my founding Do It For Christ Ministry. Since that meeting I have been miraculously transported to Heaven, five times. My passion is to share with the world the awesomeness of Jesus Christ. I have experienced numerous visitations from the Lord Jesus. My friend, Christ is God who came to earth. He will return. Soon. I want to tell you about Jesus Christ and His saving, unending grace. I want to tell you about the remarkable, dynamic power of prayer. I want to encourage you that prayer can change your circumstances for the better. Prayer can add value and meaning to your life. I want to assure you that Jesus Christ is the way to life. Come with me on this remarkable journey! HortenseInspiration is an extension of my ministry. Visit our website at www.doitforchrist.org.